Davis resigned earlier this year in protest of Theresa May's Chequers plan and wider Brexit strategy, insisting she was willing to give away too much in negotiations with Brussels. Former Brexit Secretary David Davis said on Wednesday he does not think UK Prime Minister Theresa May's Chequers proposals will form the basis of an eventual deal with the EU, suggesting a new approach is needed. He also said he expects the UK government to be in a "different place" on Brexit after the upcoming Salzburg meeting. 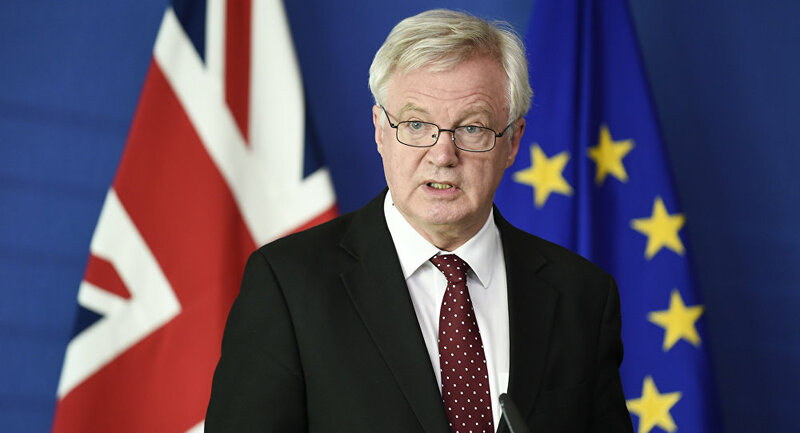 Davis’ remarks follow EU Chief Negotiator Michel Barnier slamming the Chequers plan as “not workable”, effectively killing off any hopes of the proposals being used in a post-Brexit trade arrangement between Britain and the EU. Commenting on whether or not May should resign, Davis said she should stay as PM as Britain needs "stability", downplaying reports that a leadership challenge by Tory rebels is imminent. "I disagree with her on one issue — and it's this issue — and she should stay in place because we need stability and we need decent government." In another indication that May's position may be safe, Tory backbencher Jacob Rees-Mogg, a staunch Brexiteer, said although the prime minister's policy on Brexit needs to be changed, she still has his support. "The policy needs to be changed but I am supporting the person. Theresa May has enormous virtues, she is a fantastically dutiful prime minister and she has my support — I just want her to change one item of policy," Mogg told reporters on Wednesday. Although the UK a hard Brexit is looking increasingly likely, with the UK set to leave the EU in a matter of months, Barnier recently forecast a deal to be reached within the next six to eight weeks. Markets and currency traders reacted well to his comments, with the British Pound strengthening in most major currency pairs as a result.